I leave in two days for Burning Man. My husband has been there for a month helping to build the infrastructure for the event. There will be about 60,000 people this year. If you want to follow my blogging about Burning Man now and then, check here. My friend Jennifer Raiser and I have a new tradition of doing something together to get ready to go. Jennifer is also a blogger but in the big time, The Huffington Post, and SF Wire. But mostly we are simpatico, we just “get” each other. 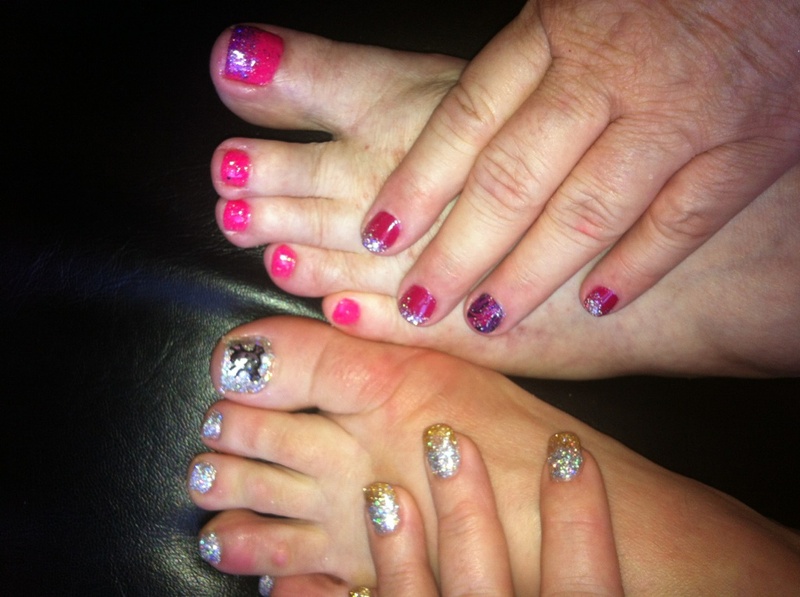 This year we decided to do sparkly mani/pedis at Wild Orchid Salon, a luxe downtown salon in San Francisco. You cannot really tell but Jennifer has a “skull” on her big toe, and I have some purple flames under that glitter on a couple of nails. I promise to bring a better camera next time. We had a great time and you get to see the results. 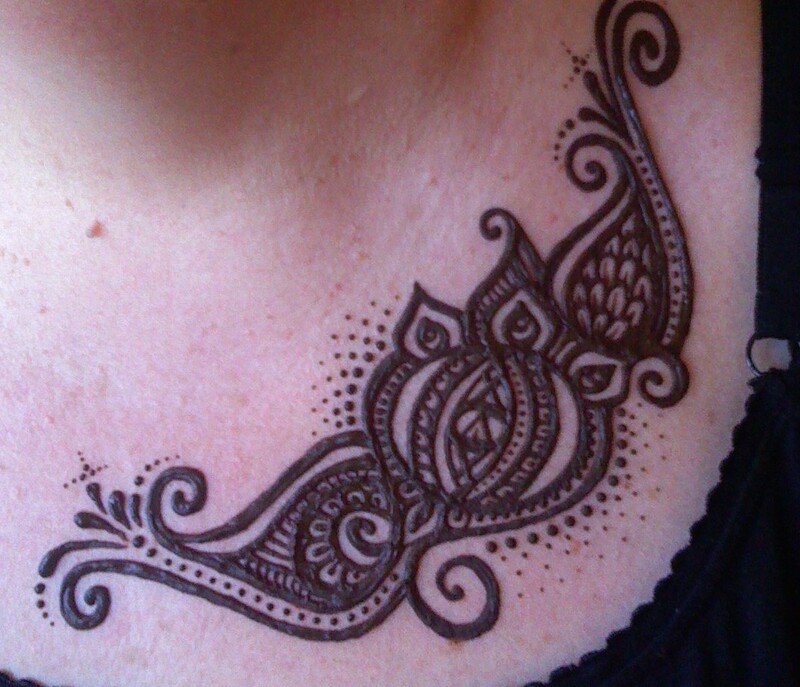 Two years ago we did henna. Fun but I just did not quite get in the swing of it, but thought you might enjoy seeing our photos. This entry was posted in Burning Man Plus Size and tagged Burning Man, Burning Man Curvy, Burning Man Fatshion, Burning Man Plus Size by affatshionista. Bookmark the permalink.